There are more than 16 known species of bats in Alabama, but none of them are dangerous. In fact, very few species of bats pose any threats to humans, as most bats eat insects, fruit, or nectars. Yes, there are carnivorous bats — including the infamous vampire bats — but they prefer livestock to humans. Truth is, bats perform a very useful service for human beings: eating insects. Bats live in colonies, there can be hundreds in each colony, and one colony can eat millions of insects each evening. You think the mosquitoes are bad in Alabama now, they would be a million times worse if we didn’t have bats. Many people associate bats with diseases like rabies. And while bats are capable of carrying and transmitting rabies, rabid bats are the exception, not the rule. Their dung, or guano, can contain a fungus which can be harmful to humans. Because of this, in addition to the fact that most people find bats spooky and creepy, you probably don’t want bats setting up residence in your home. Which they are known to do. 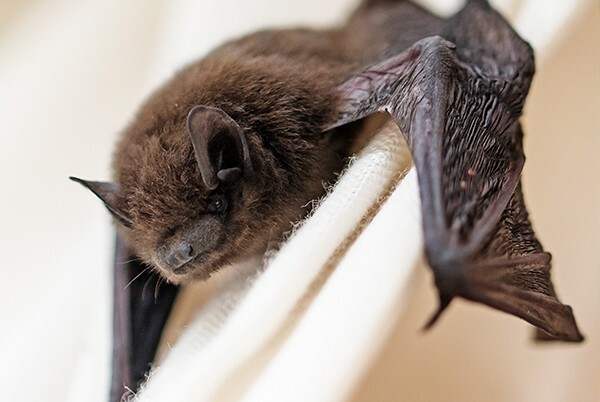 In the summer, maternal bats can “roost” in attics or other areas around homes. They are nocturnal, which means they fly and feed at night. Seeing them near your home in the evening, or perhaps hearing a strange noise in your attic, might alert you to their presence in your home. If you do determine bats have taken up residence in your house, do not try to remove them yourself. While bats are not dangerous to humans, any cornered wild animal can be unpredictable. In addition, some bats in Alabama are endangered or threatened species, and you could face steep fines for killing them. It’s best to enlist the services of licensed wildlife control specialists at Alabama Wildlife Pros for fast, humane removal of these uninvited and unwelcome guests.